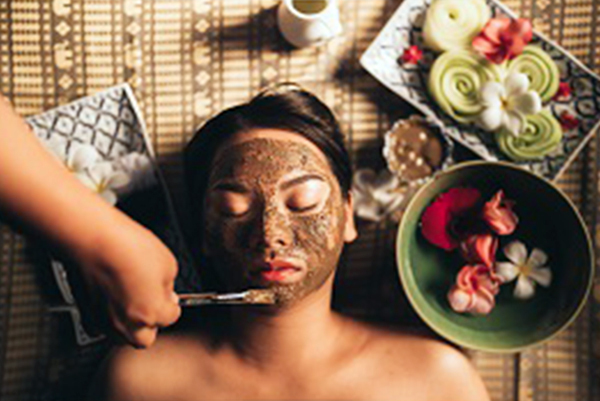 Spa School is Massage School renowned in Thailand and overseas for practical high quality massage training. Outstanding specialist Massage Courses include therapist training Course and the art of Thai traditional Massage. Ttc Spa School is accredited by the Ministry of Education, and is an attractive venue for people all over the world. Massage Therapy has become an important part of general health care for many people living in today’s stressful world. Traditional healthcare systems throughout the world recognize that Therapeutic Massage can play an important role in treating illness or chronic ailments, and contribute to a higher sense of general well-being! With ever-expanding research on the beneficial effects of Massage, more Professionals are advising patients to include Therapeutic Massage in their health care treatment plans. Physicians, Chiropractors and Physiotherapists are recommending more patients receive Massages for certain health conditions, while many employers and health insurance plans support the use of registered massage therapists. Class hours are 9.00 – 12.00 a.m. and 01.00 – 05.00 p.m. ( 7 and half hours daily ) with Sunday as a holiday. 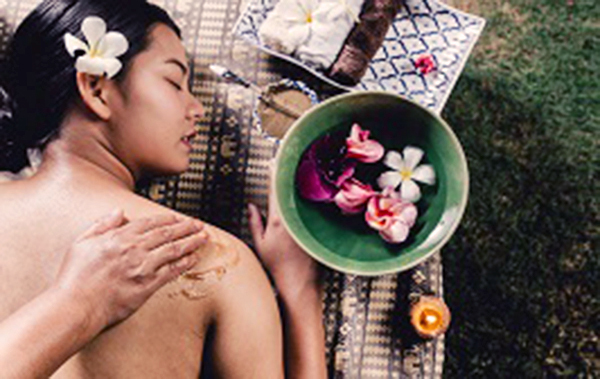 ★ If you normally take a Thai Traditional Massage course after receiving this course, 1,000 Baht will be cashed back. TTC Spa school Kaosan is the Thai Massage school located in Bangkok Thailand.Geographically situated at Chiang Mai in northern Thailand. Bangkok which welcome many foreign tourist to this city, It is a safety places for foreign student to stayed safely and enjoyed studies with the facility provided.TTC Spa School is expected to be open in Year 2012 June. 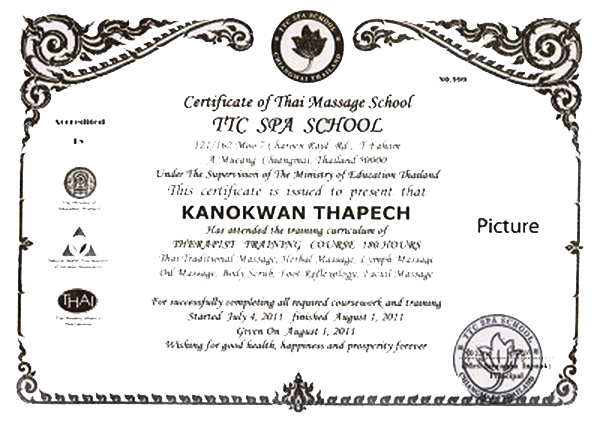 TTC spa school is the international massage school which received recognized of the Thailand Ministry of Education, and it is recognized as the well known massage school, therapist school in the world. With the therapy training course opening the traditional ancient Thai massage lesson is also included. TTC sincerely wished to welcoming a lot of peoples around the globe for practice leaning this unique ancient Thai massage. 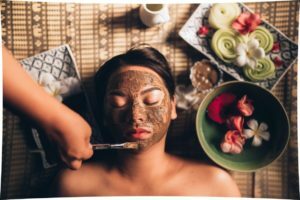 The massage industry is rapidly development globally in recent years, the demand for a professional therapist is highly increasing in the luxury spa of a resort hotel industry around the globe. in a luxury spa, resorts, hotels in any part of the world. It is also a place which there are historical buildings including a king’s palace (Wat Pho,Wat Arun) on the outskirts, It is also attracted tourist from every country in the world to come and visited to Bangkok Khaosan one of the famous tourist place which TTC Massage School located. A Foreign student will have a wonderful experience which touches the vigor of Thailand culture thru the practice of the ancient Thai traditional massage and spa from the ancient period to the modern life. At this site, you may referred to our current students life in our school information. Stayed hostel with us and studies life at here. We are very pleasure to know your travelling to Bangkok is just not only for trip purpose but also considering your enrol studies with us.